Stress: we’ve all experience it from time to time. Stress can be generated by many things, both good and bad. Problems arise when we can no longer control the stresses and we end up stressed all the time as one irritating event rolls right into another. When stress becomes chronic, we stop feeling stressed and the condition recedes to the background where it is present without us even knowing it. Besides the outwardly signs of stress, having chronic stress can adversely affect your health. When we experience chronic or underlying stress, we produce more stress hormones such as cortisol. Having too much cortisol in our systems over a long period of time can cause damage to our cardiovascular system as well as pulmonary, endocrine and immune systems. According to Dr. Brent Bauer, MD, FACP, director of the Complimentary and Integrative Medicine Program at Mayo Clinic, Rochester, MN, Massage Therapy is an important part of treatment for people seeking relief from stress and stress-related conditions. He suggests a 4-part approach to achieve overall health and wellness. Dietary changes. Avoiding processed foods and making whole foods a major part of your diet by increasing your consumption of vegetables, fruits, nuts and legumes as well as limiting foods that are high in sugar. Exercise more. Try to get at least 45 minutes of moderately high intensity cardiovascular exercise each day. Remember, if you enjoy the activity, you have a better chance of sticking with it. Manage your stress. By acknowledging that you have stress and taking the steps to release it, you avoid the condition of chronic stress. Some examples of activities that reduce and eliminate stress are: massage therapy, yoga, meditation, tai chi. Connecting with family and your community. This can be something as simple as making time to play board games with friends or hiking with your family. People who express the most benefit also volunteered in their community. There are numerous benefits of getting Massage Therapy to treat stress and stress-related conditions. It is a non-pharmaceutical intervention that has both short-term and long-term benefits. Massage can decrease anxiety as well as lower cortisol levels and heart rate, which all contribute to a sense of well-being and relaxation. In addition to these benefits, massage also relaxes tense muscles, relieving headaches and discomfort of the neck and back. Clients find that these effects can be continuous if they make a weekly massage therapy session part of their routine. Some professions are more susceptible to chronic stress and include care givers, healthcare professionals and people with other chronic illness or disease. Many medical professionals realize the importance of integrating massage therapy into the traditional healthcare setting both for themselves and for their patients. Click here to schedule an appointment for Massage Therapy. To speak with our Massage Therapist, please call 540-750-1095. 1. the science or practice of the diagnosis, treatment, and prevention of disease (in technical use often taken to exclude surgery). 2. a compound or preparation used for the treatment or prevention of disease, especially a drug or drugs taken by mouth. As you can see, even though we most often use the term to refer to drugs, medicine has another meaning also. With the many benefits of exercise and its ability to treat and prevent disease we can say that Exercise is indeed preventive medicine. Here’s a compilation of facts gleaned from numerous research data. A recent poll, Sleep In America, administered in 2014 by the Sleep Foundation, found that three quarters of exercisers classified their sleep as good or fairly good. Those who exercised the most vigorously, rarely identified their sleep as poor. According to research done at Harvard Medical School, having a regular exercise routine can boost your immune system, helping to prevent colds and the flu.3 In fact the researchers saw a 40-50% reduction in respiratory infection among the exercisers as compared with non- exercisers. The American Heart Association has completed many studies on how exercise affects our heart and circulatory system. One benefit is keeping our blood vessels more youthful. Long term exercise actually protects the lining of these vessels from negative age related changes. Needing more motivation? Genetic research has shown that exercise can lower the risk of type- 2 Diabetes and obesity by reversing damage to certain DNA and returning it to a more healthful state. Best news is that it takes as little as a single exercise session to initiate this change. It’s easy to create excuses for not starting an exercise program. The one I hear from the most people is the lack of time. Seems we’re all busy so, trying to fit in several hours of exercise a week seems just about impossible. So I ask you – Do you have time to be sick? Do you have the time for heart disease or a stroke? How about if exercise made you more productive at work because you are sleeping better (it’ll do this). So, what are you waiting for? It’s time to get up and get moving. Click here to schedule an appointment for Personal Training. To speak with one of our Personal Trainers please call 540-750-1095. In life, most of us want to be helpful in some way. To help each other seems to be a universal quality of the human condition. As a massage therapist, I have analyzed how my profession can be of help, or should I say service. Well, it’s not really help that my clients get from me, but it is more service. Let me explain further. If you think about it, help is about inequality. If someone needs help, they require something they don’t have from someone that has a particular strength. When you are helping, you are doing the fixing for someone else. Service, on the other hand, is more about a partnership where people with the same goal join together and work towards that goal – as equals. As a Massage Therapist, I offer my services to my clients not as the “fixer” but as part of the team. As I work, I listen with my hands, assessing problems and working with the clients own body to resolve the issue. In this way, we are equal partners. I think this is something that most people seeking massage therapy don’t realize. For results to be achieved they need to be ready and willing to let go of their discomfort, as my partner, that’s their job. As the massage therapist, I can assist their muscles and tissues in releasing the tension and finding their normal state of ease, but only with their cooperation. I’ve had clients tell me where they’re hurting and tell me to fix it. One client in particular wanted me to fix his tension headaches, but the entire time he was on the table he complained about all the stresses of the day. He was, quite honestly not yet ready to release that tension, so in turn, his muscles simply did not respond well. During another session I encouraged him to not think about his stressful day and introduced him to a short guided imagery that he was to continue during the massage session. Not surprising that his muscles responded well to the therapy and he felt relief. I recently read an article about how we can take ownership of our disease or condition. It is, after all, ours because it resides in our body. For example, by referring to a headache as ‘my headache won’t go away”, you are creating a relationship with that headache, and telling it NOT to go away. In this circumstance, you can’t expect the headache to go away while you are basically keeping it, like an old friend. By using a phrase such as “I have a headache and I want to get rid of it”, you aren’t showing ownership of the headache but instead treating it like it’s disposable. A client’s attitude can have a huge impact on the outcome of a massage therapy session. By showing up for your appointment ready to release your discomfort and stress, we will have greater success at achieving our goal. Click Here to schedule an appointment for Massage Therapy. To speak with our Massage Therapist please call 540-750-1095. It’s almost impossible in this day and age to not have heard about the many health benefits of regular exercise. There are proven benefits for every age group from kids to seniors. What surprises me is that so many people still aren’t engaging in regular exercise despite the plethora of valid research, the high cost of treating the diseases aggravated by a sedentary lifestyle and the availability of equipment and places to exercise. As I peruse articles and studies, I see almost an overwhelming number of them tout the benefits to seniors. These benefits aren’t just things like feeling better, having more energy or sleeping better (although exercise will do all this too). Article after article reveal truly life altering benefits like less cardiovascular disease, less mental decline and dementia, lower cancer risks, less risk of hip fractures, better kidney function just to name a few. 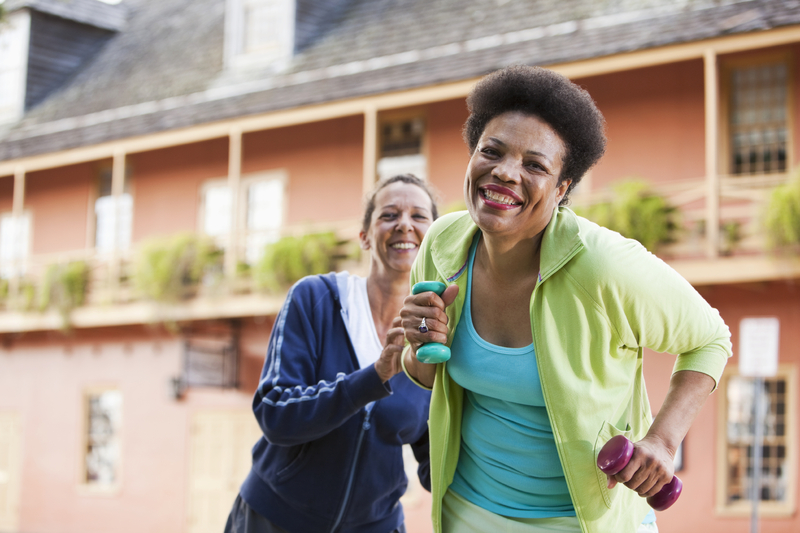 The American Heart Association began recommending that physicians take a more active role in their patient’s lifestyle by assessing their level of physical activity. Physicians can go to the AHA website to get more information on these assessments. If a patient is identified as having an unhealthy level of activity, guidelines for increasing their physical activity can be suggested. I understand that starting an exercise program can be intimidating and a bit overwhelming for many seniors, especially if they have never actually participated in regular exercise. I cannot stress enough the importance of developing a relationship with a qualified and certified Personal Trainer. Without the worries of what exercises to do, how to do them safely, when to do them or how much is enough, you can concentrate on the benefits of your exercise routine. There is no better time to start an exercise program than now. To schedule an appointment for Personal Training, click here. To speak with one of our Personal Trainers please call 540-750-1095. Many clients tell me that the facial massage is the best part of our massage therapy session. Not only does it feel amazing but it has many health benefits also. When a Massage Therapist treats the face, head and neck, many changes take place in not only the skin, but the underlying muscles and connective tissue also. Depending on the techniques used, a facial massage can help relieve sinus congestion, headaches, puffiness and improve skin tone and relieve stress and tension. Generally speaking, whether from stress or other causes, if muscles and connective tissue gets tight, a proper balance of fluids is lost, causing skin, muscle and connective tissue cells to dry and stiffen. This can cause pain, stiffness, headaches and lose of function within the body. Massage stimulates the healthy flow of both blood and lymph fluids, nourishing the cells and helping to clear them of waste products. All of these improvements translate to healthier skin and a stronger immune system. You can get a Facial Massage as part of a Whole Body Therapeutic Massage session or as a stand-alone Head & Neck Massage Therapy session. If you suffer from stress, tension or eye strain headaches, neck tension or facial discomfort, a stand-alone Head & Neck session would be your best choice, allowing the Massage Therapist enough time to address your concerns and discomforts through a variety of special techniques. 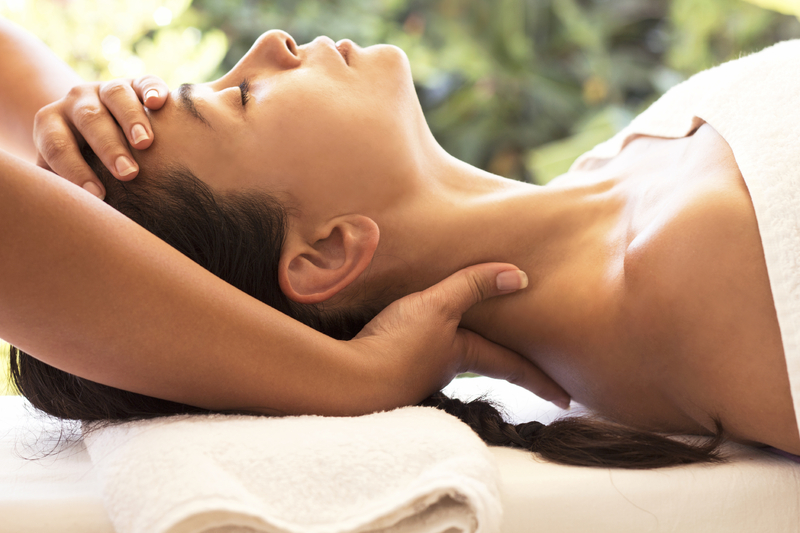 To schedule an appointment for Massage Therapy, click here. To speak with our Massage Therapist please call 540-750-1095. Benefits of regular exercise are well known, ranging from improving cardiovascular health to increasing bone density. For those diagnosed with Parkinson’s Disease (PD) there are additional positive changes that can come along with an exercise regimen. These benefits may include increased range of motion, smoother motor function, and better balance. A good exercise routine will target specific challenges incurred by PD. At the University of Pittsburgh, Dr. Zigmond et al. found that exercise reduces the impairments elicited by the dopaminergic neurotoxins as well as the loss of DA neurons. This study is focused on one of several possible explanations for the beneficial effects of exercise: an exercise-induced increase in the expression of neurotrophic factors, particularly GDNF (glial-derived neurotrophic factors). Observations indicate that GDNF can reduce the vulnerability of DA neurons, in part due to the activation of key intracellular cascades. This raises the possibility that some individuals with Parkinson’s disease suffer from a reduction of these neuroprotective mechanisms, and that treatments that boost these mechanisms – including exercise – may provide therapeutic benefit. In a recent study conducted by Beth Fisher et al., researchers at the University of Southern California found that exercise may have an effect on the brain. On a day-to-day basis, people with PD who exercised moved more normally than those who did not. Based on these findings, they believe that exercise may be helping the brain to maintain old connections, form new ones and restore lost ones. They suggest that, in certain situations, the neuroplasticity created from exercise in patients with PD may actually outweigh the effects of neurodegeneration. As additional research is done more and more evidence supports the value of exercise for those living with Parkinson’s. Beyond the physical improvements exercising can offer, there are also psychological benefits. Over the years studies have shown that exercise can be a key factor in enhancing mood and fighting depression. The psychological benefits stem from endorphin release, gaining confidence, and having a positive coping mechanism. Also often exercise can lead to increased social interaction and relationship development. Exercising routines should be design to specifically to help combat the physical issues brought on by PD and reflect the particular modalities that research has shown to be most effective. As you begin exercising keep in mind to maintaining correct form, start out with low intensity and lower weights, and build your way up gradually. Good ideas on how to get started and maintain an exercise program include: utilize physical therapy, find a trainer, get a workout partner, or participate in a class. It’s a great time of year to begin a new habit.